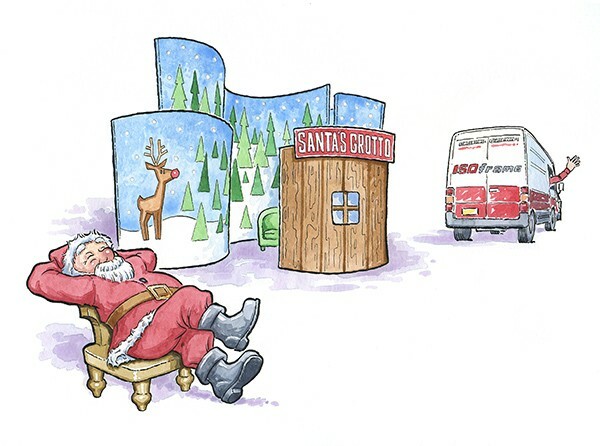 Possibly the cutest Santa I ever drew was included in the card from IsoFrame. 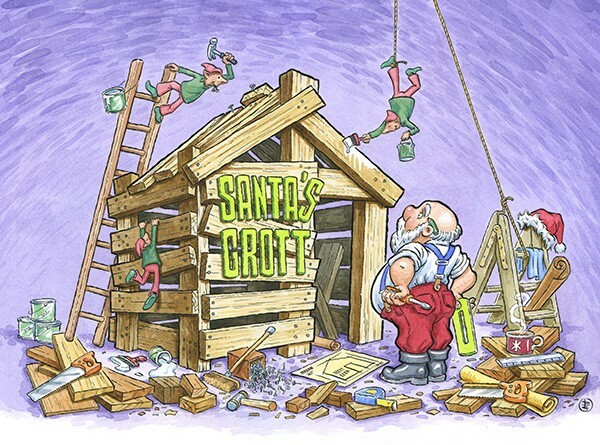 The message the card had to convey was the minimal effort and stress experienced by Santa in using the client’s exhibition system to build a grotto. As in all good ads, follow a problem with the solution. 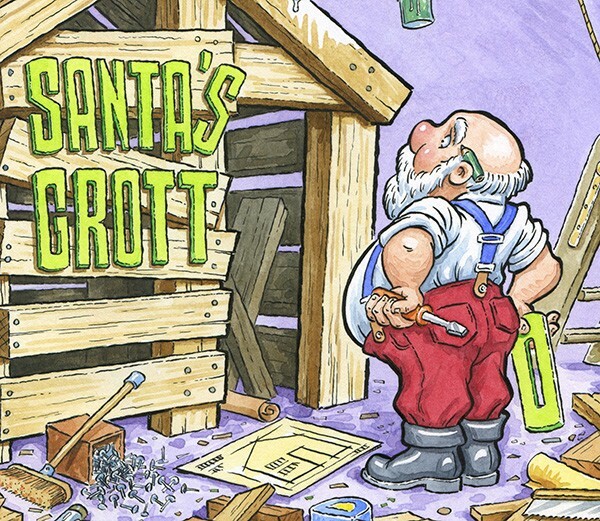 Santa gets it right the following year. I’m still waiting for my file copy. I hope I’m on their Christmas card list!